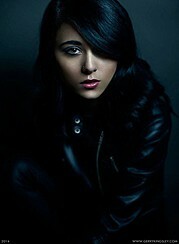 Tia Naccarato is a model, makeup artist and hairstylist based in Sudbury Ontario. She has participated in Miss North Ontario Regional Canada Pageant that took place in Sudbury. Tia has a strong passion for what she does, she likes making sure that the client is always happy. She is an easy going person and loves to meet and get to know new people. She is professional and respectful as a person. Being a makeup artist, hairstylist and model is something she always wanted to do since she was young. She loves making people feel good about themselves. She believes in having a smile on her face, and being friendly towards people, she has a positive outlook on life and is glad to share it with other people.